The Kona releases keep on coming today! For those following Instagram, Slowtwitch, etc., a new Felt IA Disc is one of the worst kept secrets around. But until now, we couldn’t share it with you in all of its glory. Today, we finally get to change that. Meet the Felt IA Disc. Rather than slapping a set of disc brakes on the previous generation IA and calling it a day, Felt engineers started with the original, and iterated on each bit of it to come up with this new bike. 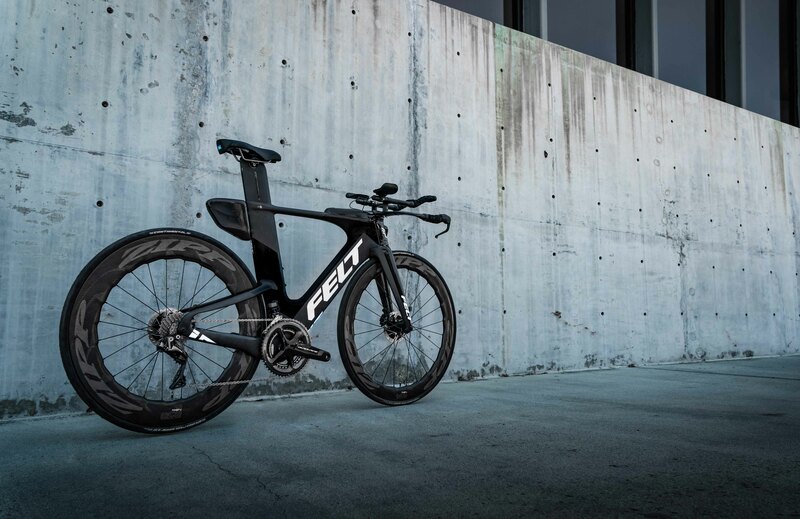 While it retains the now instantly recognizable silhouette of one of the winningest triathlon bikes of all time, a closer inspection reveals key differences. 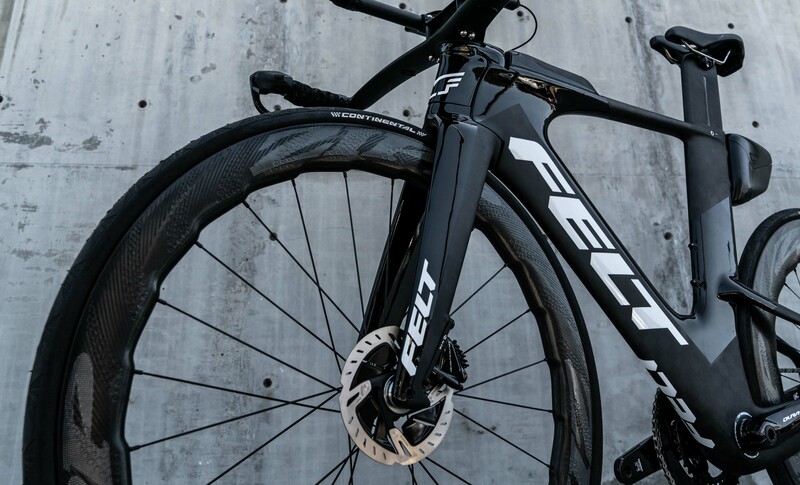 A brand-new fork sits front and center, which was necessary to handle the added stopping force of disc brakes, and also features a refined level of compliance to maximize ride quality, stability, and steering response. 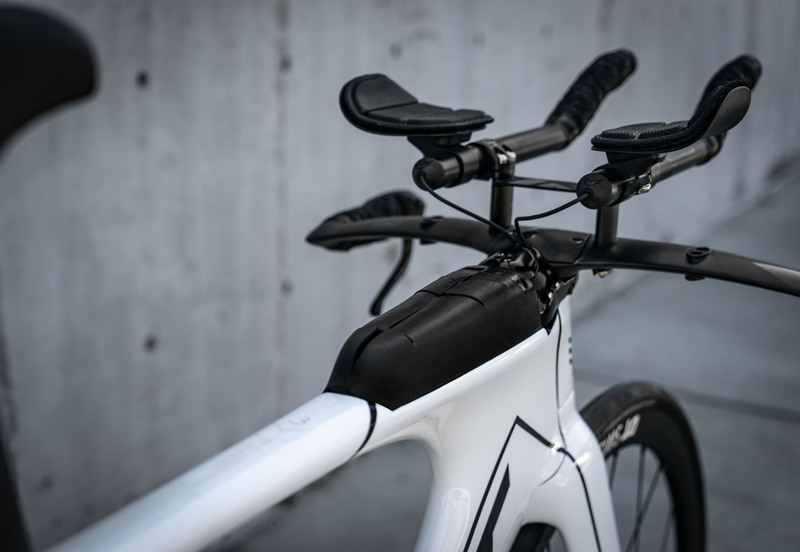 The IA Disc also features a simplified and better-fitting single headtube cover for easier maintenance and adjustability compared to its predecessor. The IA Disc also sports an all-new rear triangle that is built around the bike’s disc-brake and thruaxle system. Not only does this design provide the stiffness needed to handle the stopping power of disc brakes, but it also ensures crisper shifting with a properly dialed-in drivetrain, and maximizes pedal efficiency by transferring all of the rider’s power to the rear wheel so no watt is ever wasted. To accommodate the added stopping forces provided by disc brakes, the IA Disc features thru-axles on both the front (12mm x 100mm) and rear (12mm x 142mm) dropouts, rather than traditional quick-release skewers. The IA Disc also includes a proprietary convenience feature in the form of a custom, flush-integrated, and removable thru-axle. 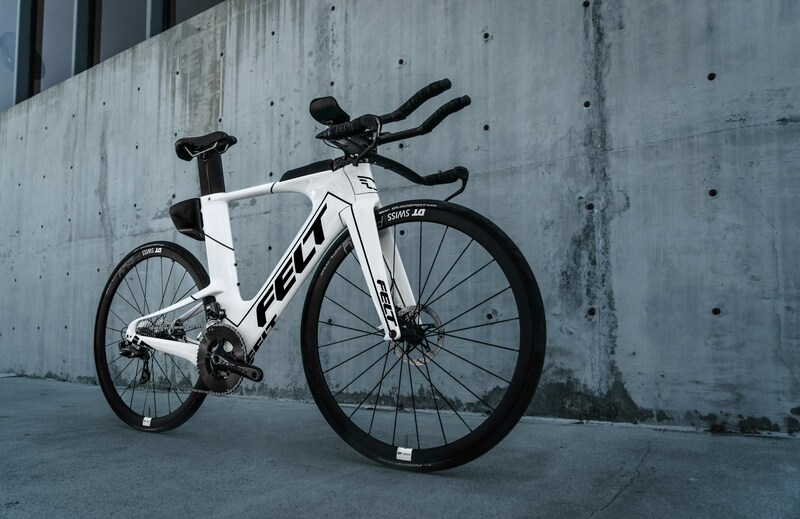 The IA Disc comes equipped with Felt’s latest top tube storage solution, the integrated CALpac 2.0. This storage unit features ample space for all of the riding essentials to which a rider needs quick and easy access. 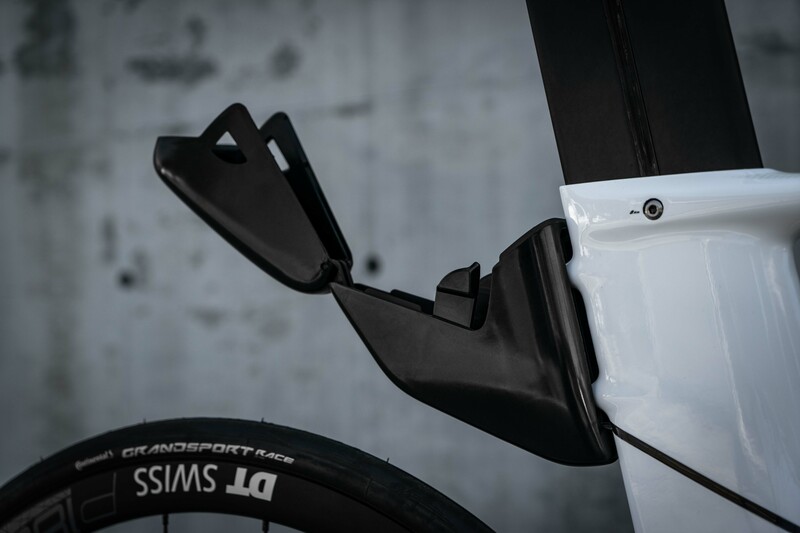 Likewise, the IA Disc includes the BTSpac storage device, located behind the seat tube. This unit is ideal for a flat tire repair kit and/or on-the-go tool kit, or any other items that a rider doesn’t require while pedaling on the bike. 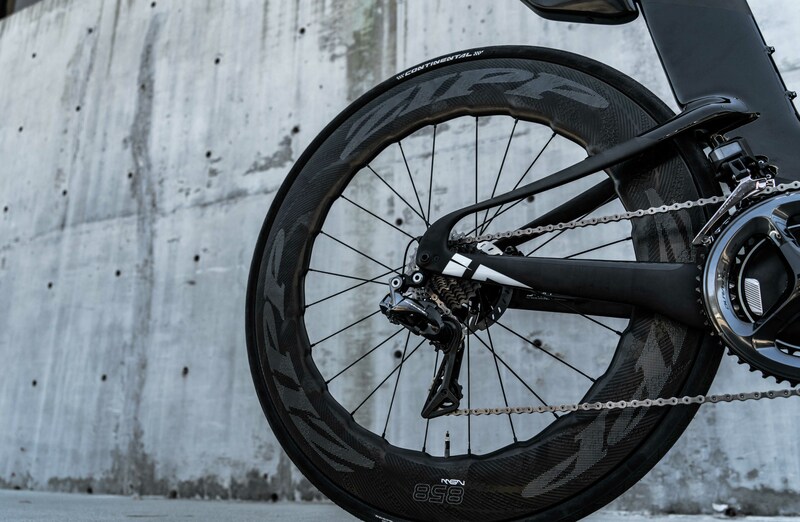 It’s shape has been aerodynamically optimized for the IA Disc, meaning that it creates no penalty in terms of aerodynamic drag. It can also be easily removed, should the rider wish, via two hidden bolts. The IA Disc features the very same tried-and-true, cherished geometry that has propelled Felt riders to the top step of the podium for over five years. 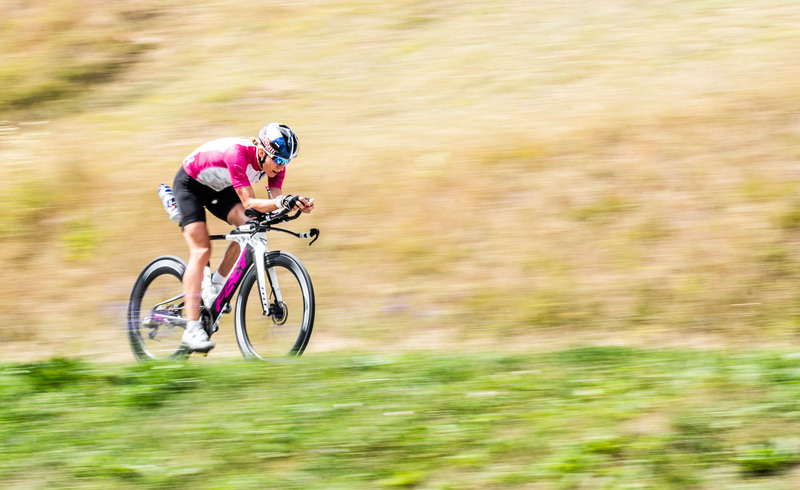 Like the previous generation IA, the IA Disc is available in multiple sizes, ensuring every triathlete can perfect his or her most powerful riding position. Felt also announced that a limited, “early edition” bundle is available for customers eager to be among the first to get their hands on a new IA Disc. This bundle, valued at over $450 USD, is added to the choice of an IA2 Disc or IA3 Disc bike. In addition to the bike purchase, it includes a premium Felt jersey and bib shorts, a backpack, hat, socks, t-shirt, and water bottle. It is hard to improve on a proven champion and the Felt IA is certainly that. The inclusion of disc brakes is expected in this day and age as the industry is moving disc brakes to become the expectation not the exception in road cycling. Our one gripe though is that we feel Felt could have gone just a little bit further in the execution of this bike – especially around the aerodynamics of the brakes and calipers. That being said, this is still a bike we very much look forward to getting into AG headquarters for some saddle time. The IA is a proven race winner, so simply slapping on disc brakes would have been a simple and welcome addition (and something we have seen before). Going that small extra step of crafting custom components to replace the rim-brake-specific components, making this a disc-only model, is something we can commend. The IA Disc will make its debut at the Ironman World Championships in Kona, Hawaii, on Saturday, October 13. 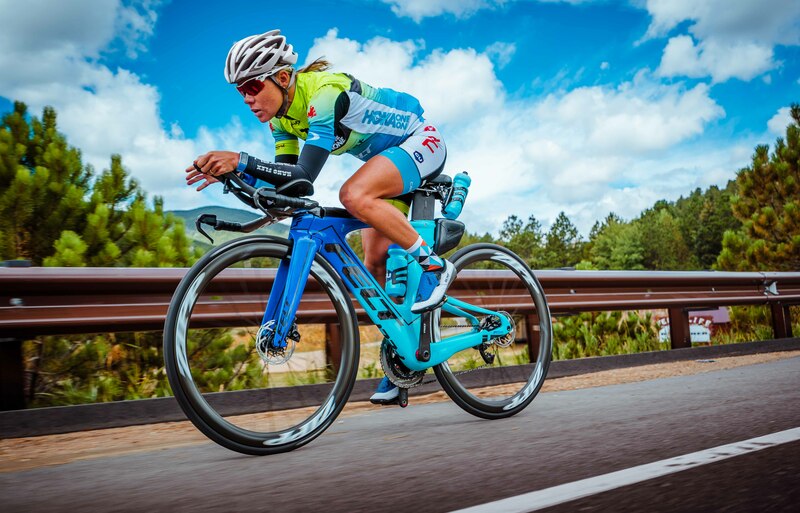 Felt athletes racing the IA Disc include three-time and defending World Champion Daniela Ryf; three-time World Champion Mirinda “Rinny” Carfrae; Kaisa Sali, who finished in fifth place at the past two Kona World Championship events; and Josh Amberger, who led the Pro Men after the swim leg at last year’s Kona event. Keep your eyes peeled this weekend to see this bike in action, and stay tuned to AeroGeeks.com for our continued Kona coverage!